We demonstrated the integration at the show, which required running a very long Ethernet cable from our booth to the HP booth. You’ll see that in the pictures below. I really enjoy shows like DSCOOP, in large part due to the people I see and meet. Meeting new people and learning their story is invigorating. When I was younger, I didn’t really like this part of the “job” – but it has grown on me over the years and now it is something I really look forward to. We get to see a lot of industry friends, and it is always great to catch up and talk about life and our businesses. I know this is going to sound odd, but the other thing I really enjoy is sharing a room with my partner, Moe. We always share a room to save on expenses, but I don’t mind at all: it is a lot of fun. At night and in the early mornings, we get to talk about our business, life’s twists and turns, and big ideas. It is a great way to re-connect and spend time together outside of the office. Another area I really enjoy are our speaking opportunities. This year, I participated in a session with Joe (who is a great public speaker), and Gershon Alon from HP. 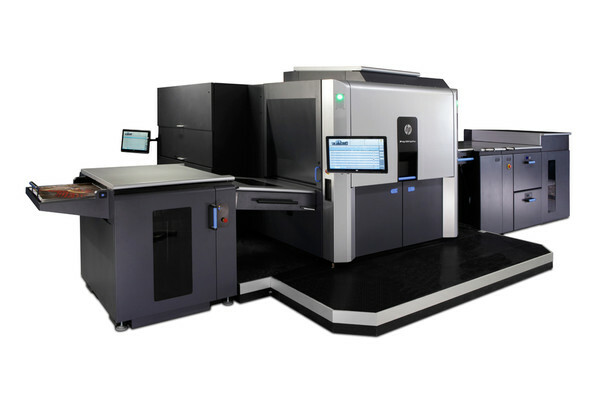 Gershon oversees the Workflow Solutions at HP Indigo. Our session focused on the ‘what’ and ‘why’ of marketing automation, and the role of print in the marketing mix. Given that we are now integrated with HP, it was great to have Alon as a part of our session. I enjoyed the session a great deal, and it was a lot of fun to interact with the audience. Here are some photos from the show, along with some narrative about what you’re seeing. Click on any photo to get started and read the details! The Gaylord (strange name) is a beautiful hotel. There are 4 in the United States, and I’ve stayed in each. Do I get some sort of reward for that? 52 square acres under the hotel’s roof. Freakin’ huge! This is what we saw heading towards the DSCOOP area. This year’s theme was “Spark”. The outside of the Gaylord. This is the first Gaylord (meaning it is the oldest). When I stepped off the shuttle, it was cold … maybe in the 40’s. A view of the area leading up to the hotel. Another shot of the Gaylord. Really is something to see. Always amazing how much crap lies around on the ground, and how quickly it disappears when its time for the show. Here’s what you saw walking into the show floor — we were right in front! This really ticked me off. $5.99 for this little sandwich. I put my hand in the picture for relative size. This was a private party for partners. The private party was a great opportunity to mingle and meet new people. The mystery elephant, finally revealed. This is the sign promoting our speaking session. A snapshot of the jobs partners submitted to the HP workflow. Our friends at Pageflex. Pictured are Pinhas, Leslie, and Tim. The HP booth during the show. It was always busy. Anna speaking with a prospect. Mary meeting with a new family member (client). Great job! Lior of HP getting ready to toast the integration. This is the HP theatre. We had 2 speaking opportunities in the theatre as well. This is where I prepared for one of our speaking sessions. I couldn’t find a place to sit in peace and quiet 🙂 Sometimes, you gotta do what you gotta do! Team chat: Ramin, Joe, Moe, and Dave. That’s Moe’s hand. Yup. Our room at the Gaylord. We had a nice living room, but ironically, most of our time is spent out and about, and we really only use the bedroom. Ted doing his thing! Great speaker, and passionate about his business and marketing automation. The HP Indigo 10000, which costs around $1.5 million. It is a beautiful machine! 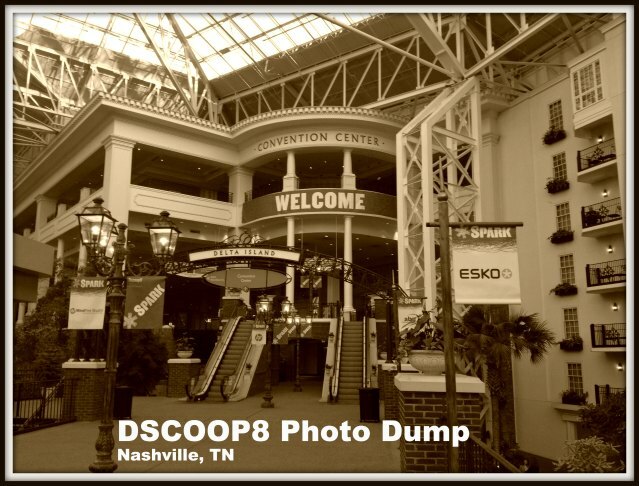 Great work Dave – great pictorial of our four days in Nashville at Dsccop8. Another one in the books!